Polyclinic for hyperbaric and occupational medicine OXY is a private, highly specialized medical institution active in the field of hyperbaric oxygen therapy. It was founded in Pula, Croatia, in 1996. Through its activities, the Polyclinic in a special way continues and develops traditions of Croatian hyperbaric oxygenation, always streaming towards excellence. Our basic activity is hyperbaric oxygen therapy (HBO, HBO2T, HBOT), i.e. 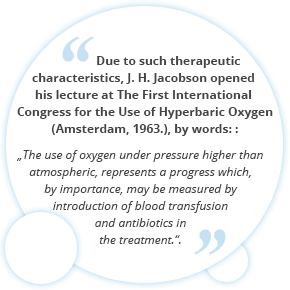 therapeutic application of oxygen that patients breathe at an increased pressure (hyperbaric conditions) to treat diseases in which lack of oxygen represents an important part a disease. In public, HBOT is well known as a method of treatment of diving related diseases and injuries, although injured divers represent only a very small part of our activities. The vast majority of our activities are oriented towards the treatment of other diseases and conditions, in accordance with various national and international lists of indications. Since 2008, we have been a contract partner of the Croatian Institute for Health Insurance (HZZO). That means that HZZO covers all expenses for the treatment of all diseases listed on the List of indications approved by HZZO.  Polyclinic OXY is always ready to cooperate with all medical institutions from Croatia or abroad. We educate our personnel with much success but also help the others. Specific medical and technical aspects of our work make us especially interesting to medical students, but also to doctors who wish to be more informed in the field of HBOT. Our professionals have been also constantly improving, actively participating at many professional meetings. Department in Crikvenica, adjacent to Special Hospital for Physical Therapy and RehabilitationThalassotherapia.